Boasting more than 40 years of experience in financial services and as a corporate leader, Donald Layton has served as Freddie Mac’s CEO since 2012. 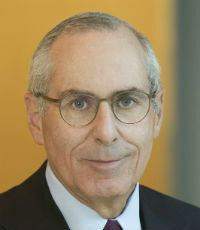 Prior to joining Freddie Mac, Layton worked for nearly 30 years at JPMorgan Chase and its predecessors, starting as a trainee and rising to vice chairman and member of the three-person Office of the Chairman. After retiring from Chase in 2004, Layton served as chairman and then CEO of E-Trade Financial from 2007 to 2009. He has also been a member of the boards of several financial services firms and was a senior advisor to an industry association.